Sun City Anthem is a fifty-five plus age restricted community featuring luxury residences and an amazing lifestyle. Perched high in the Black Mountains of Henderson, Nevada – Sun City Anthem boast some of the best views of the Fabulous Las Vegas Strip, the Las Vegas valley, and surrounding mountains.This perfect location is moments away from the world-class dining, shopping, and entertainment of the Las Vegas Strip. Click here to view Henderson and Las Vegas Retirement Communities. Sun City Anthem is comprised of wonderful community centers offering golf, swimming, tennis, fitness, bocce ball, arts, crafts, and much more. There are also many events and activities appealing to everyone as well as a state of the art day spa called Serenity at Anthem Day Spa. There is a Black Mountain Trail Head nestled within Sun City Anthem allowing easy access for exceptional hiking and exploring of the mountains. Single story floor plans featuring great layouts are available throughout this beautiful community. Sun City Anthem homes are quality built by Pulte and Del Webb. Many homes are highly upgraded using the finest materials and craftsmanship. 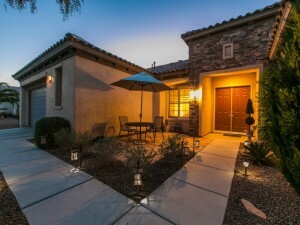 Below are some of the latest homes for sale in Sun City Anthem in Henderson, NV. If you do not see listings, then there are none available at this time. Contact Team Carver at (702) 436-3615 or at Clients@TeamCarver.com to arrange the showings of the Sun City Anthem homes that are of interest to you with one of our experienced Sun City Anthem real estate agents. You can also select SCHEDULE SHOWING, which is available on each individual Anthem real estate listing. You can also use our Las Vegas MLS search and save listings of interest to your profile. Visit the Sun City Anthem website for more information. If you are interested in a tour of Sun City Anthem, please contact us. Team Carver is very experienced with Las Vegas and Henderson luxury real estate especially in Sun City Anthem and has an extensive portfolio of successful Las Vegas and Henderson luxury real estate closings. If you’re considering selling a luxury home in Sun City Anthem, please contact us for a private consultation. Team Carver will provide you with a luxury market summary and has the knowledge and expertise to guide you through the process of selling a luxury home in Sun City Anthem. Let Team Carver will help you achieve your Real Estate goals no matter the situation. If you’re considering selling a luxury home in Sun City Anthem, please contact us for a private consultation. Team Carver will provide you with a luxury market summary and has the knowledge and expertise to guide you through the process of selling a luxury home in Sun City Anthem. Let Team Carver will help you achieve your Real Estate goals no matter the situation. Let Team Carver will help you achieve your Real Estate goals no matter the situation.